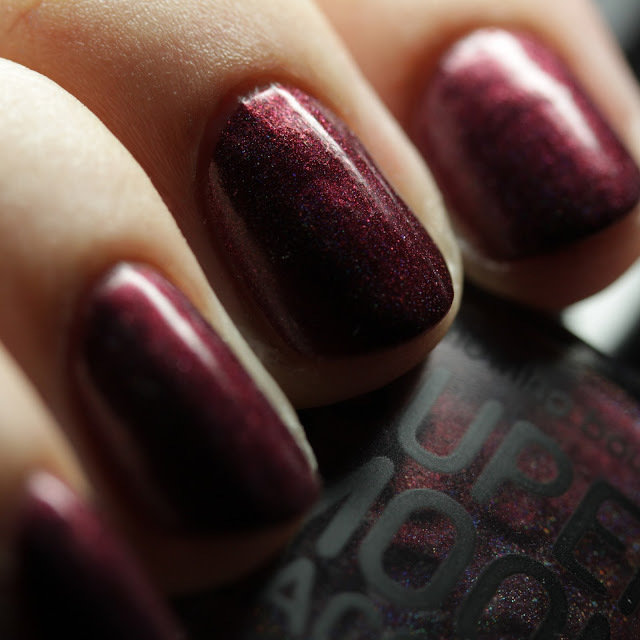 Mardi of Supermoon Lacquer is launching her second collection, I Am Cannibal for pre-order on August 24 at 6PM CDT through August 28 at 11:59CDT. It is comprised of eight polishes for discounted $67 total or $8-10 each pre-order, with slightly higher prices after the pre-order ends. I have four of the shades to show you today, and four tomorrow. As Kesha fans will notice, this collection is for you! And You'll Be a Goner is a muted lavender with scattered holo, green shimmer, and green microflakes. It covers perfectly in two thin coats and dries quickly. 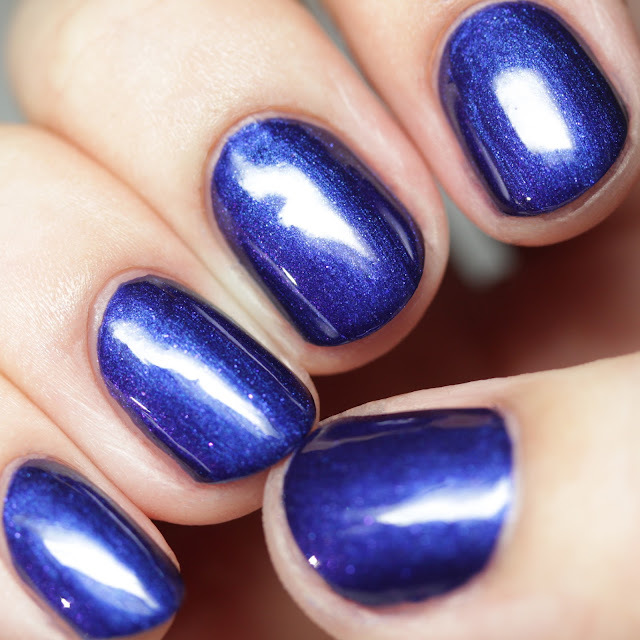 Boys for Breakfast (and Lunch) is a royal blue shimmer with blue and magenta-to-gold duochrome shimmer and flakes, worn here in two thin coats, though it might be a one-coater for some. My bottle experienced some settling of the flakes in transit but not all bloggers had this happen. It might be due to high temperatures it underwent in transit. 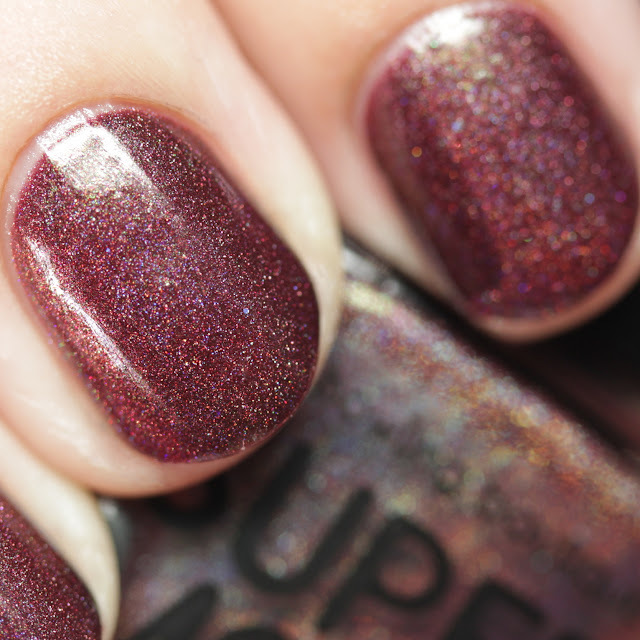 However, Mardi preemptively reformulated the polish with more suspension for the release version. You can also buy the older version for a discounted cost. To be honest, it didn't bother me at all and I think the results are lovely. I really appreciate that she was concerned and worked on remedying the issue before release so customers get the best version of the polish. Carnivore Animal is hands-down my favorite of the collection! Just today, my friend Becky of Naked Without Polish pm'd that she had the perfect polish for me and it was none other than this one! Woman, you read my mind. 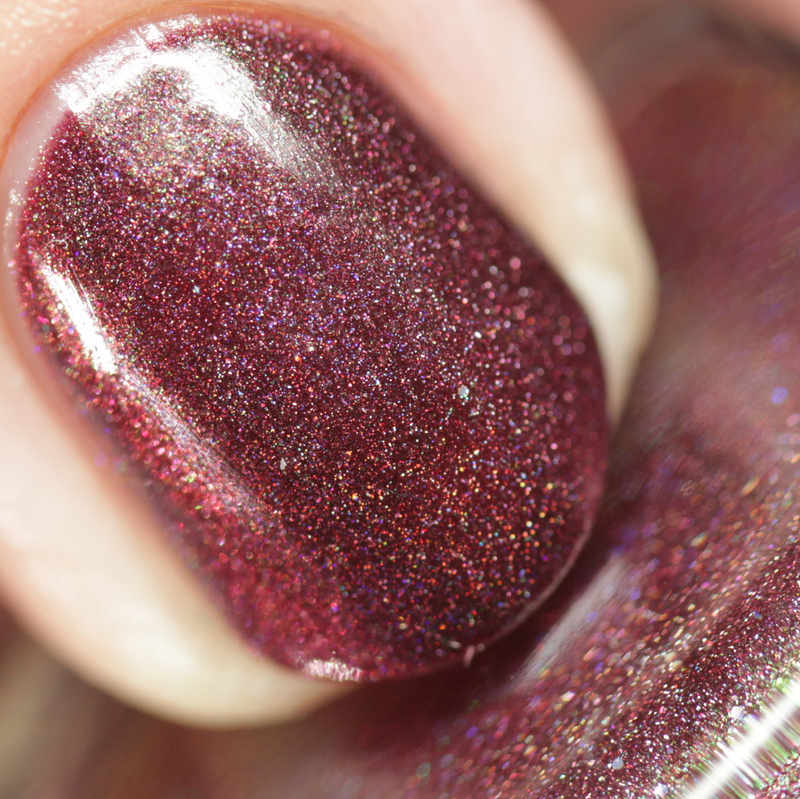 It is a red-brown with scattered holo and green-to-magenta duochrome shimmer. 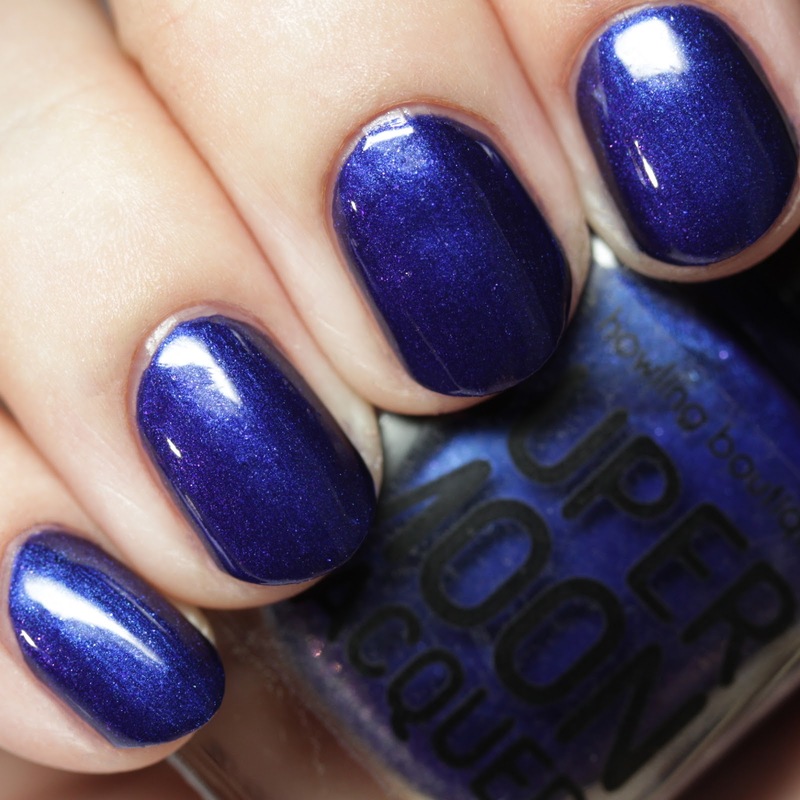 It has a silky formula and is one-to-two coats for full coverage. It is pretty much my dream fall polish. 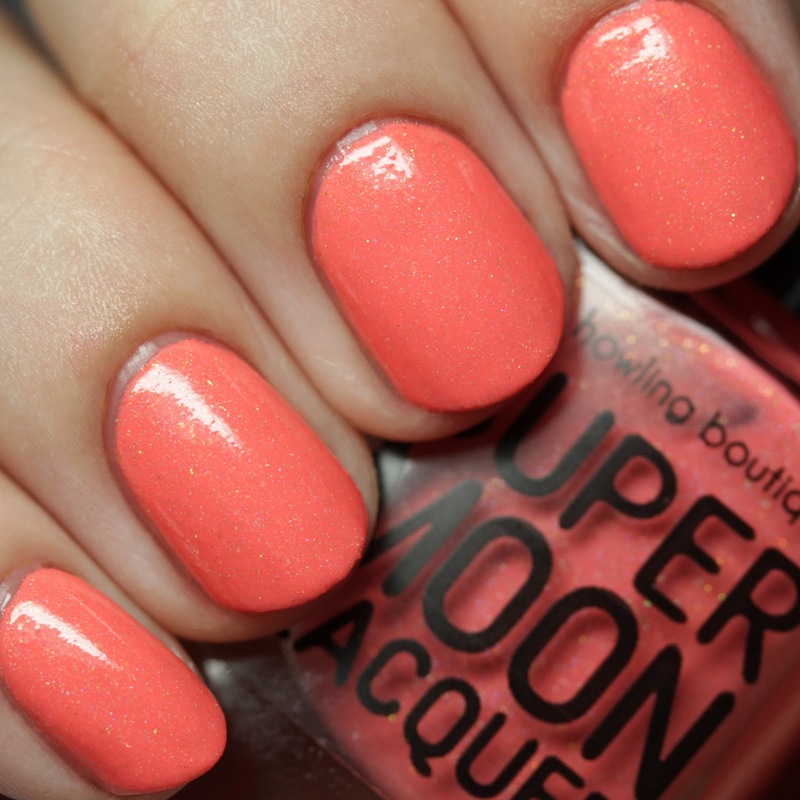 I Warned You is a neon coral with scattered holo and gold microflakes, shown here in two thin coats. I took a darker exposure of this one to capture the richness of the coral without blasting the photo to pink, so my hand looks dark but the polish is accurate.